Happy Saturday you guys! I remember my dad used to have a saying he'd use a lot when I was little-something about spreading your butter on too much bread? Well that's about how I've been feeling lately with several big and many small things interrupting our regular routine, but I realized that I've got to be more flexible in the future so I don't get derailed so easily. 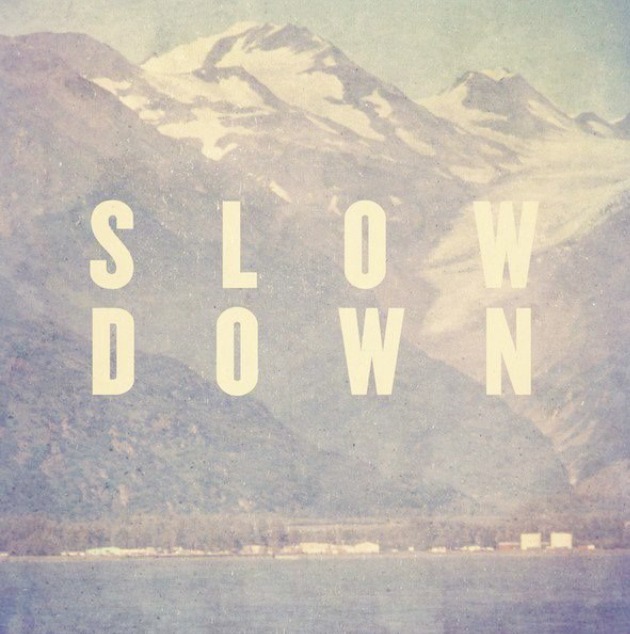 I've got to do a little less, prioritize a little better, and slow down. Having kids really makes time pass before your eyes, and sometimes as I stare at my now 4 year old and remember every detail of her birth, I can so easily get emotional at the thought that she is growing so fast and these moments with her like this will come and go forever. Time passes so quickly, and I refuse to miss out on the sweetest parts of my life because I was keeping so 'busy' that I wasn't all present for them. Start your day thinking about what you really truly want out of that day, and than fight to achieve it. Such a true post. We all have such busy lives and society is constantly telling us we must do more not less! That's true the time gone. I am 42 year old and I have a blessing to have my first child. My petite Coraline. Before her, my mind was always living in the future. Suddenly I got pregnant. I had my beautiful daughter and my life changed. My clock stopped. I started to live at my age the present. I'm sorry Emily for my English grammar. English is my third languages but I only wanted to confirm you that live the moment is something that sometime happen suddenly but also you can propose that everyday. I continue planning the future and remember the past, but Now I am living the present. Everyday something magical happen and you have to live the moment to see it. Did your Dad like Tolkien? That quote is from "The Hobbit." Bilbo says, “I feel thin, sort of stretched, like butter scraped over too much bread.” I've always used it to describe what you've been feeling. My new mantra is 'Have Less. Do More. Be More'...I've been really trying to lighten the load and to celebrate more moments than things. I feel so much more at peace with myself. This is a beautiful post, more people should read it, and so I will be sharing via Twitter.